Description: This class builds on all of the knowledge and techniques learned in our Basic and Intermediate Level trainings. While our Basic and Intermediate Level classes are focused on clearing cellular memory and the human energy field, our Advanced Level training is focused on helping you live your soul’s mission and bringing your dreams alive. Advanced Attunement: You will receive a special Advanced Level “energy attunement” that will further open your energy field to the power of Integrated Energy Therapy® Advanced Level ray. Our Advanced Level attunement expands, realigns, and restructures the 4th pair (soul profile) and 5th pair (soul cluster) of your 12-Strand DNA. Once attuned to the Advanced Level IET Ray, you will have the ability to discover your soul’s mission and attract members of your soul’s cluster to help you live your soul’s mission and bring your dreams alive. 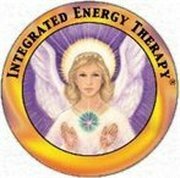 Class Materials: you will receive a fully illustrated 34 page Integrated Energy Therapy® Advanced Level Guide and an official Integrated Energy Therapy® Advanced Level Certificate.